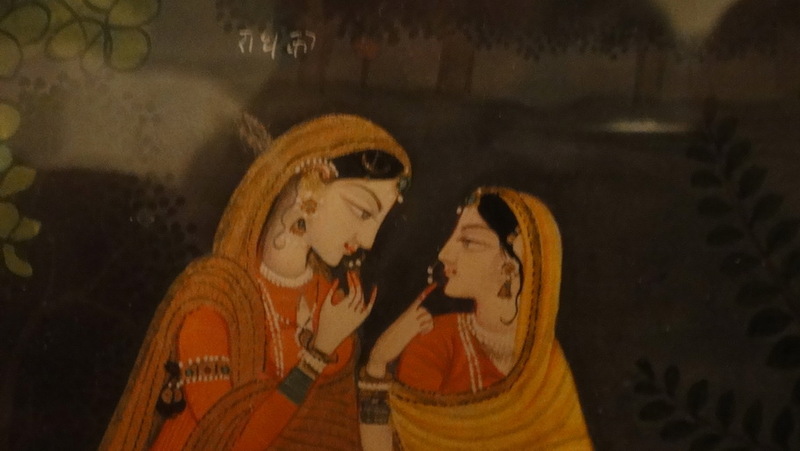 This is the single most famous painting at the Delhi National Museum, and the world’s most reproduced Indian miniature: Delhi’s Gioconda. 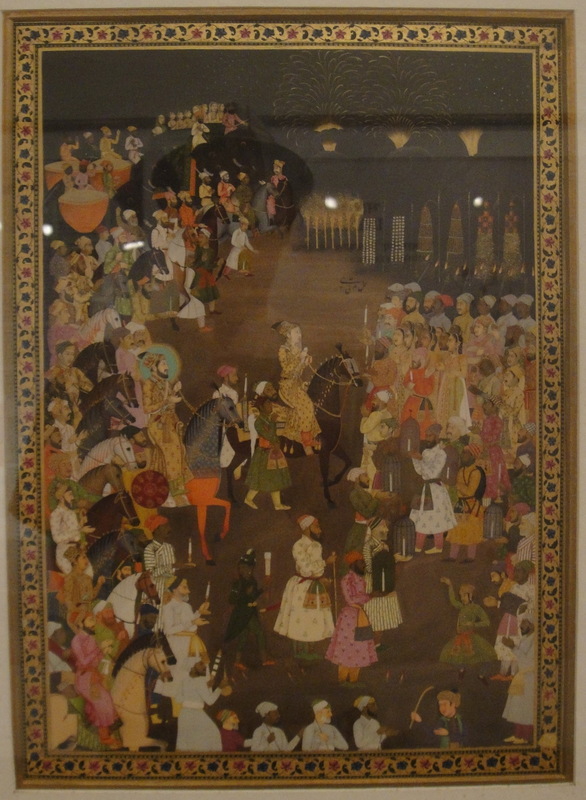 Better prints of it are probably to be found in the literature (if not online), and therefore this post has no right to exist. 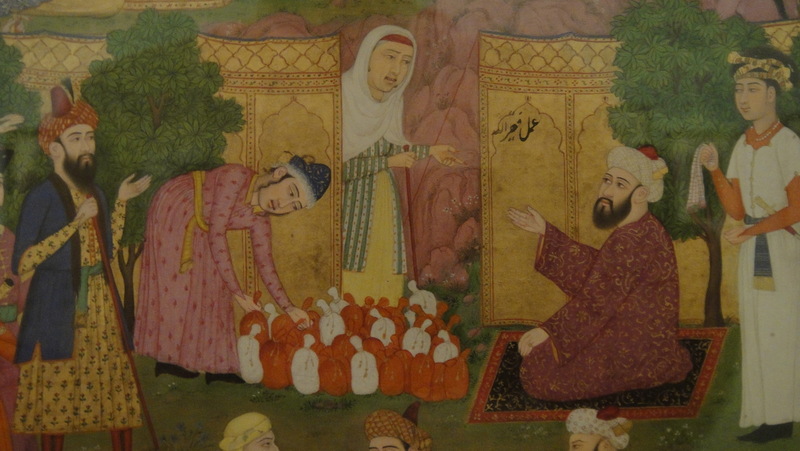 Except, of course, for the pleasure its posting affords me. 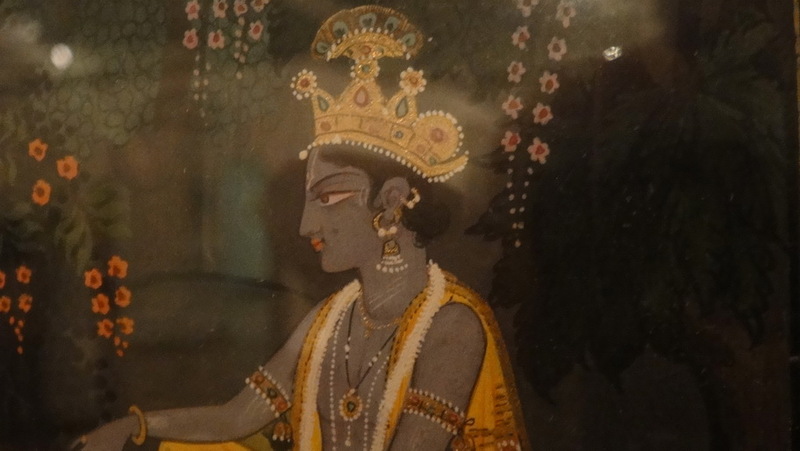 Here’s Krshna, the Black God, once perhaps a Bhil deity (which is to say, a god worshiped in India by proto-Dravidyans before the arrival of the Aryas); possibly the Heracles of Megasthenes; and the principal deity of the Mahabharata — who seems in it to lead with a light heart all of humanity — except for a single foetus! 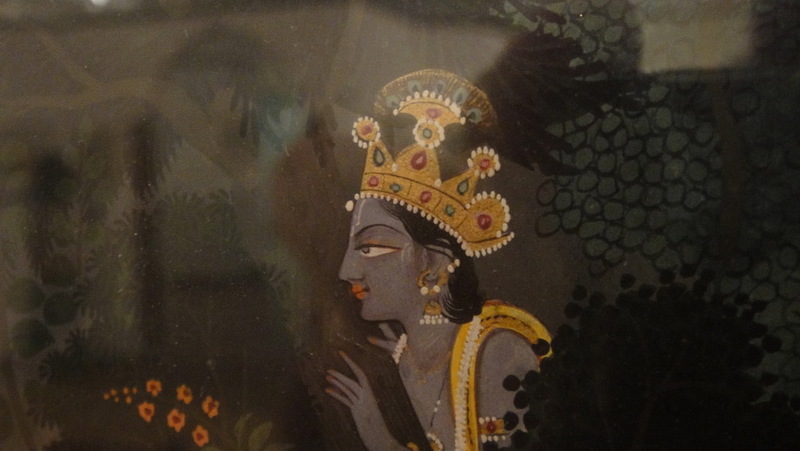 — into the conflagration of Kurukshetra, while telling everyone, including his friend Arjuna, not to worry — “it’s not your business to worry, just let things take their course”); and his lover Radha, the woman who symbolizes all of the god’s faithful (Krshna worship is the ultimate bhakti — a religious practice centered on intellectually unambitious but heartfelt love and longing for god, expressed in song, poetry, dance, and ritual, in which the god is evoked as a lover (see Song of Songs for a similar idea). 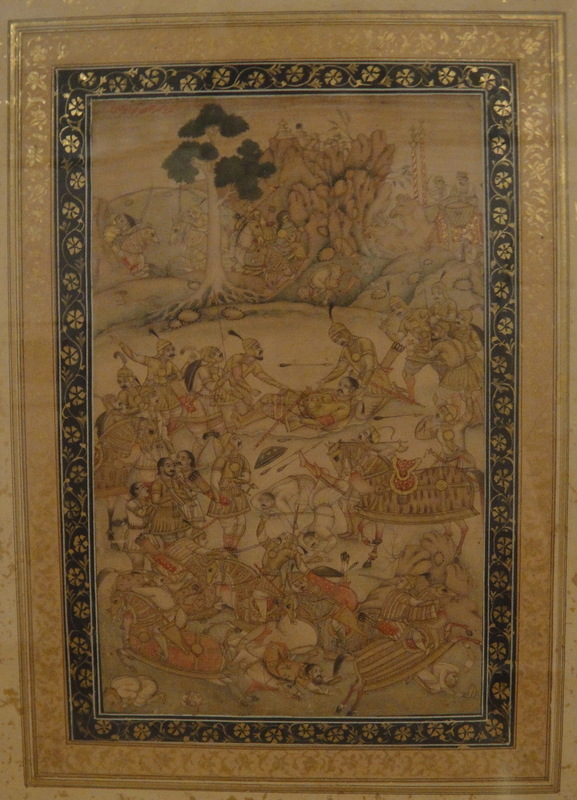 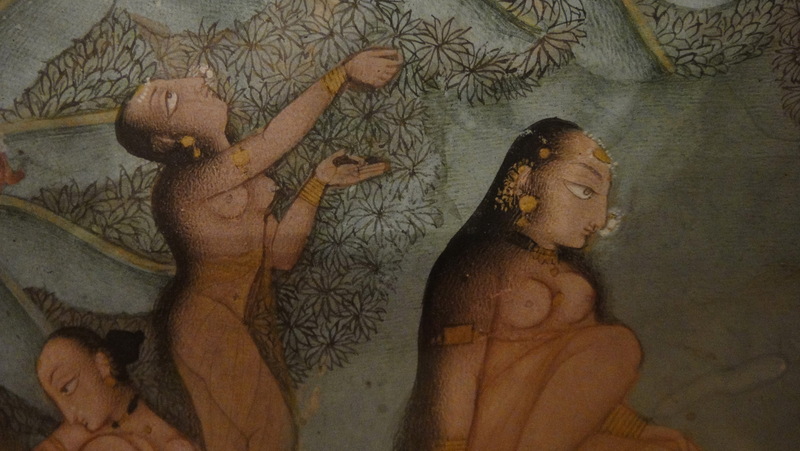 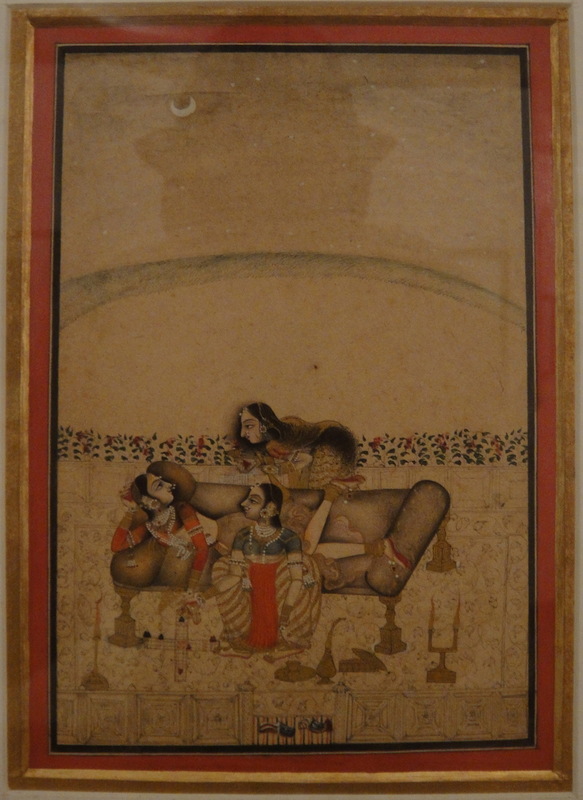 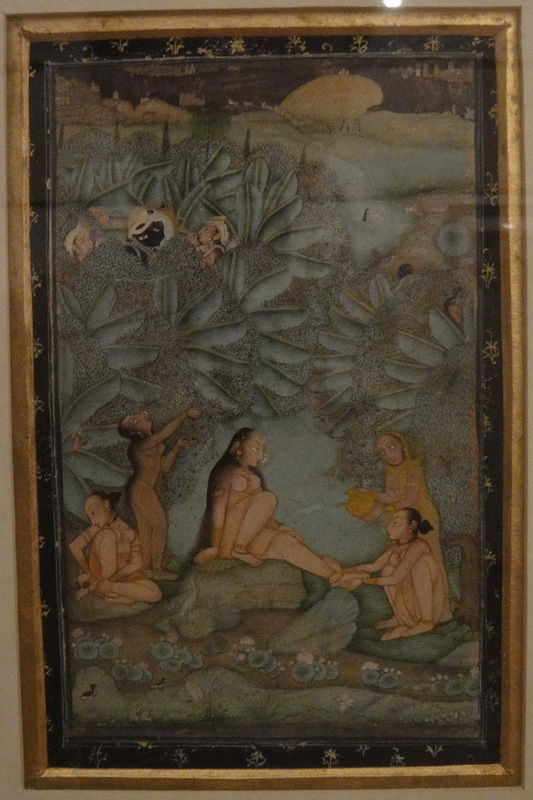 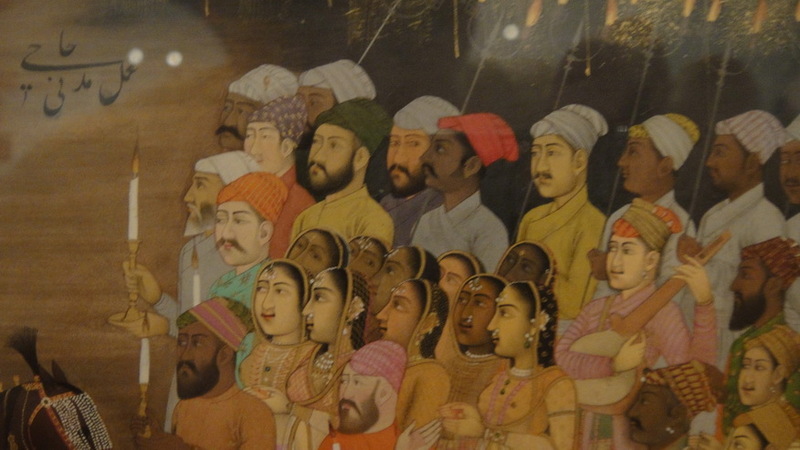 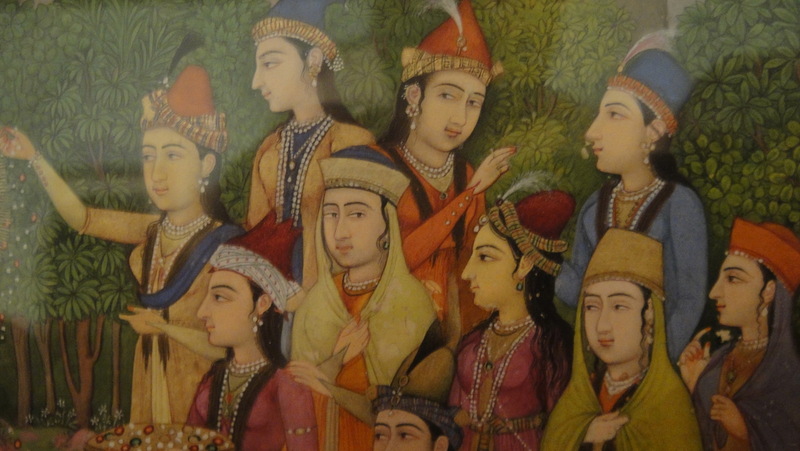 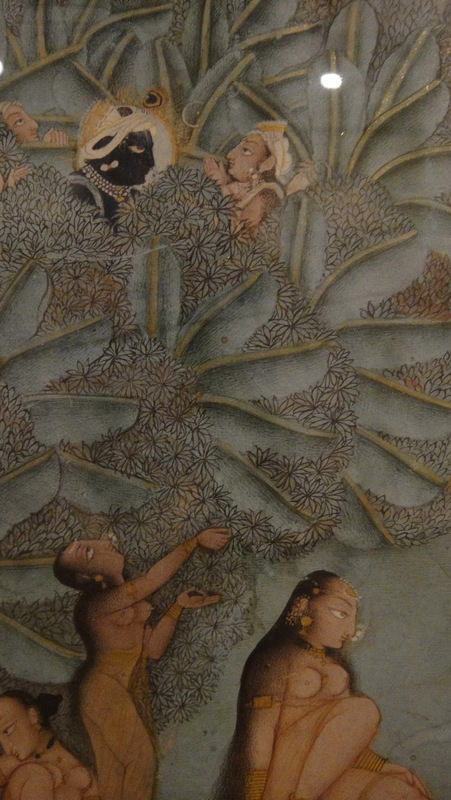 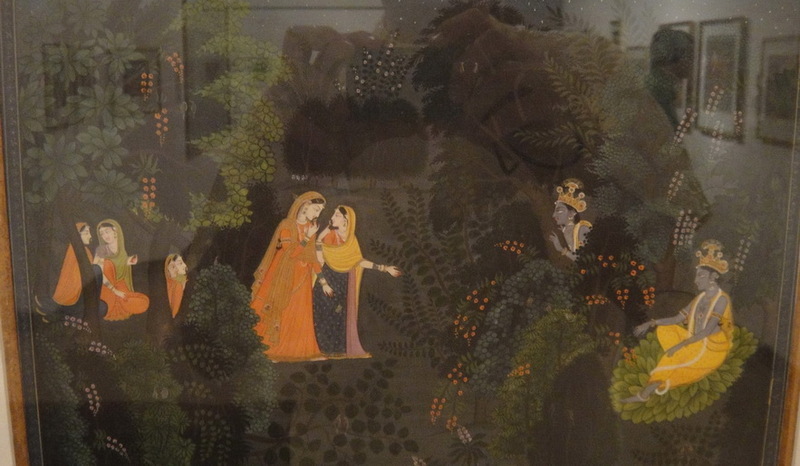 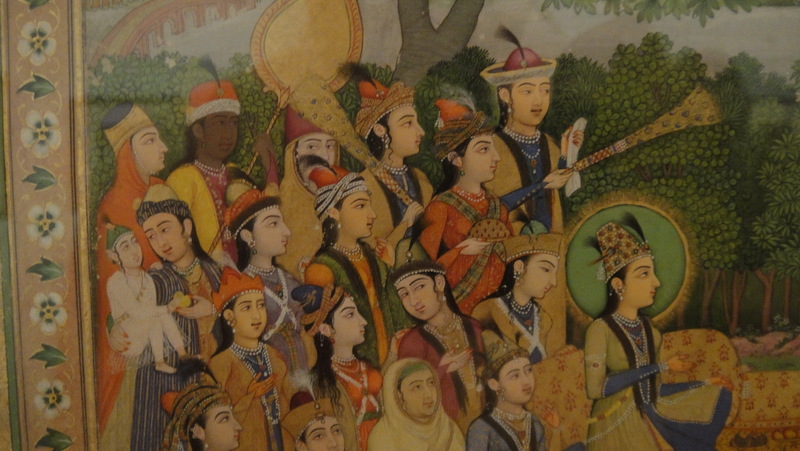 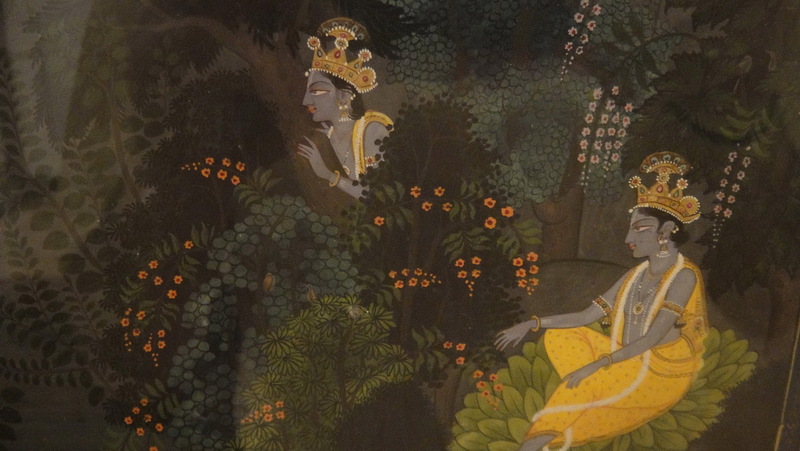 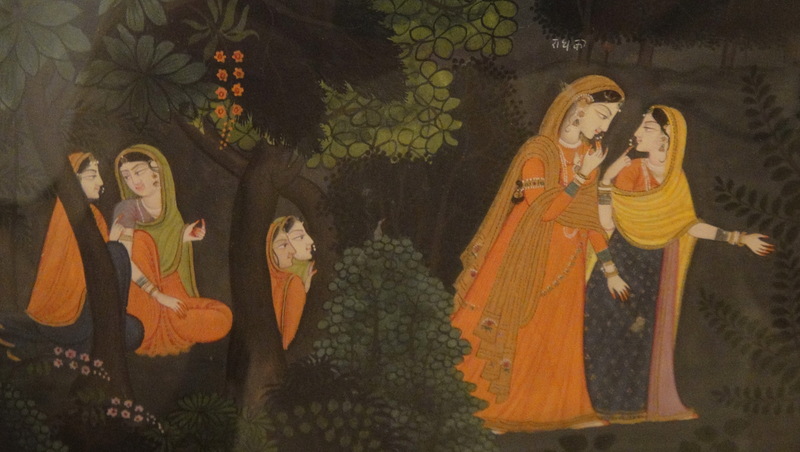 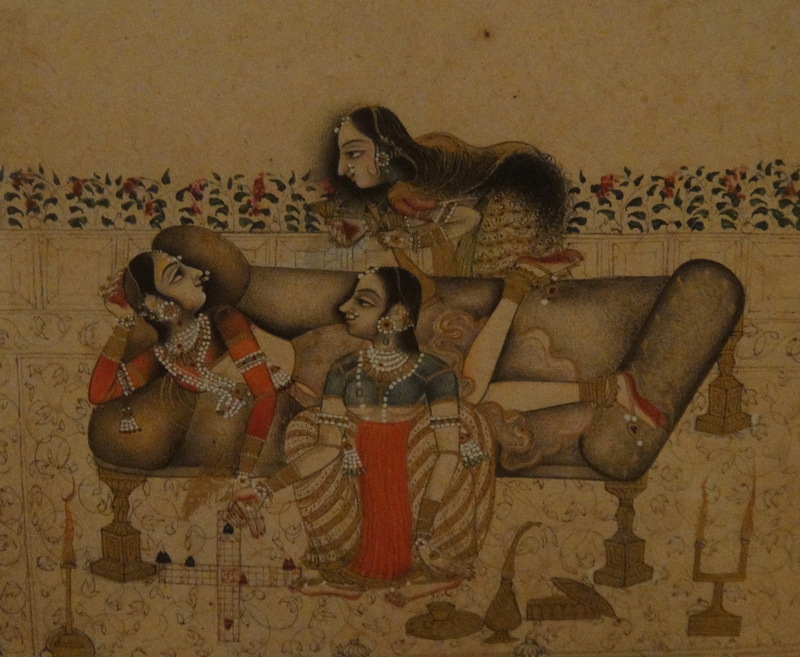 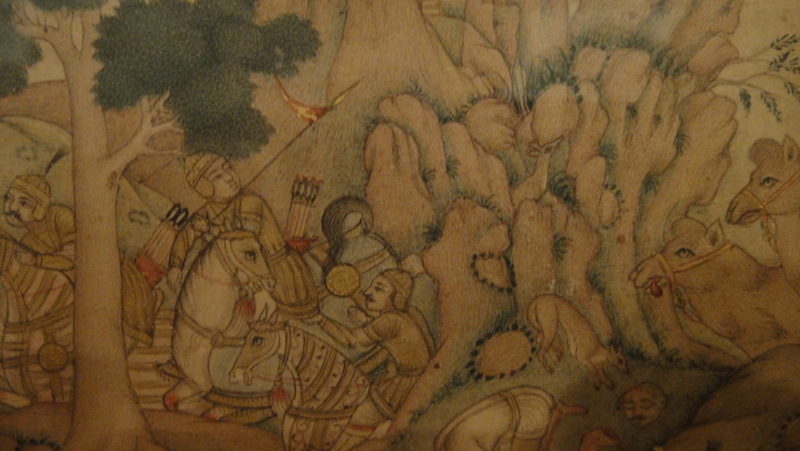 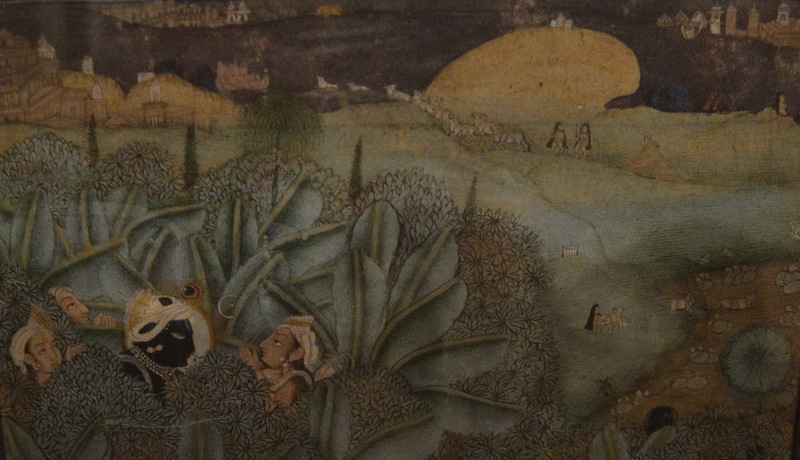 The painting is Pahari (“hills”) – almost certainly Kangra; it is part of a series (The Smithsonian owns a piece from the series, here); the setting is a garden at night; Krshna is led by her friends to the bower of love where Krshna awaits her; she hesitates; he awaits her eagerly — the painting shows him twice — now waiting patiently in the bower, now looking out eagerly through the trees to see if his beloved is coming. 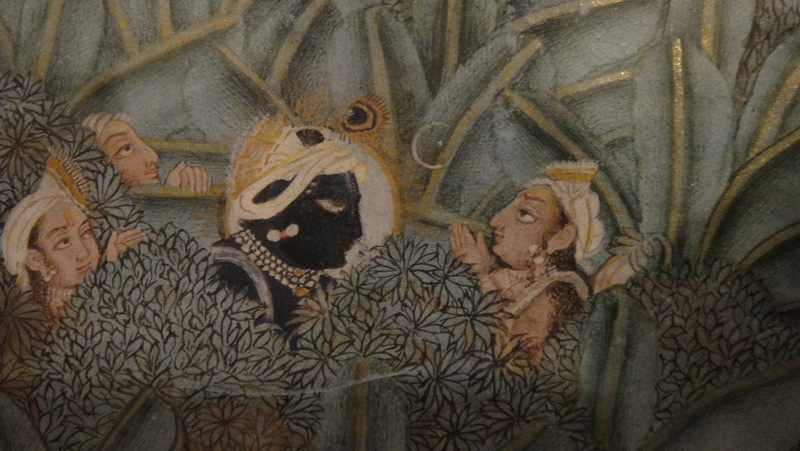 Back in 2005 I was given the opportunity to view what is probably another painting in the series — painted around 1750 — in a private home in India, about which I may say no more. 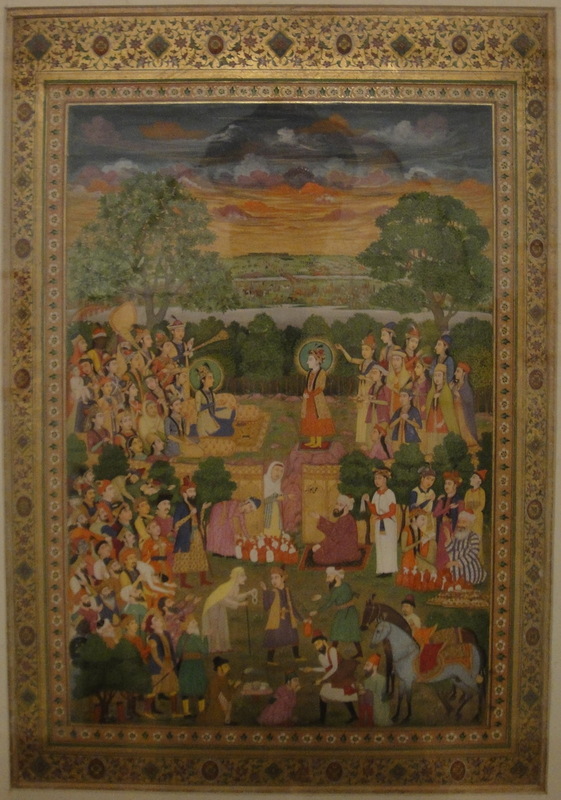 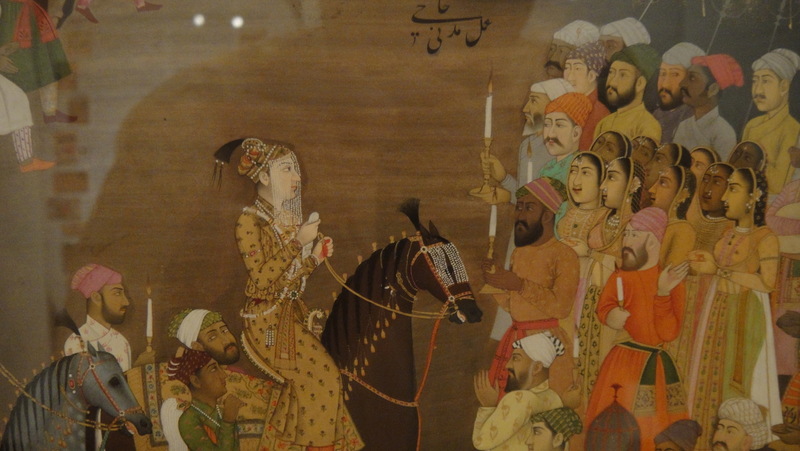 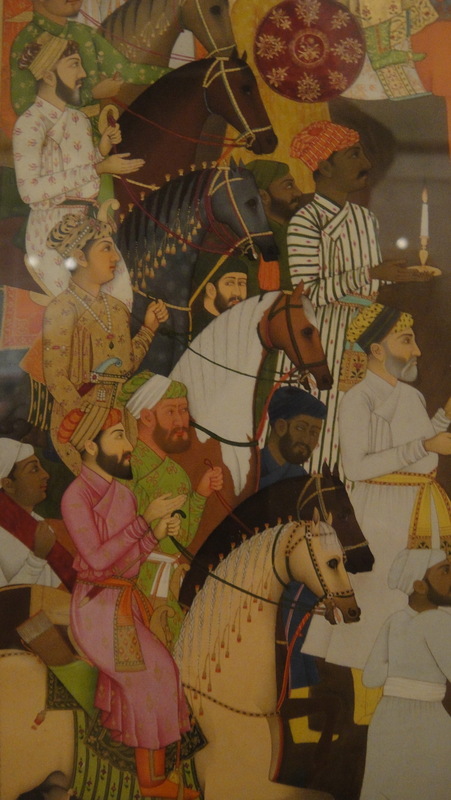 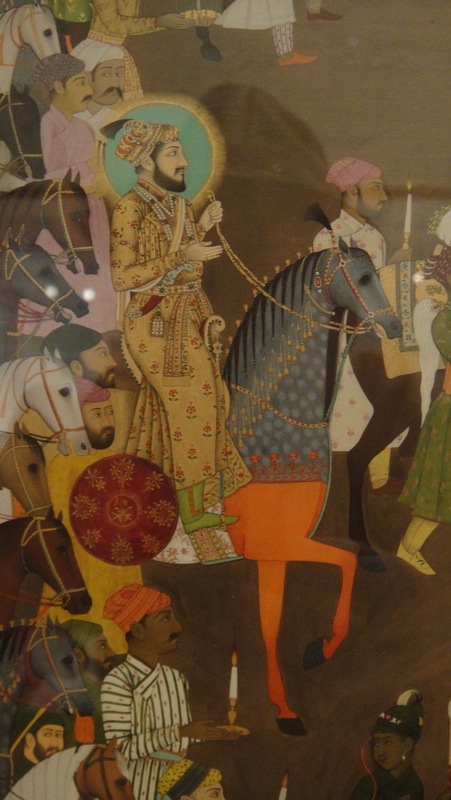 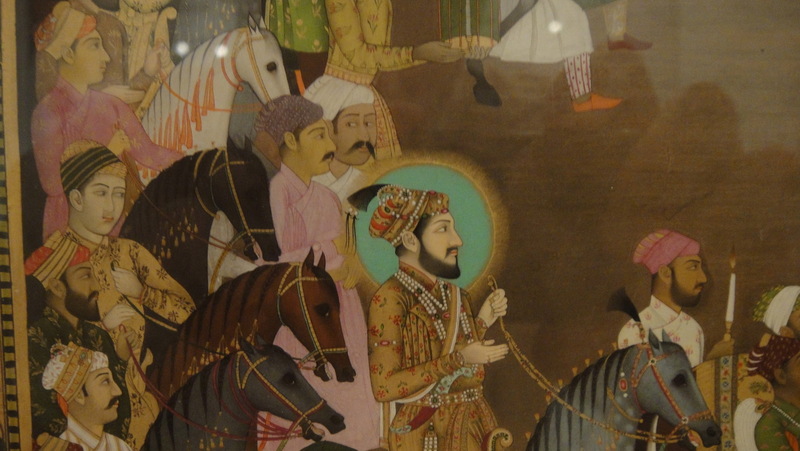 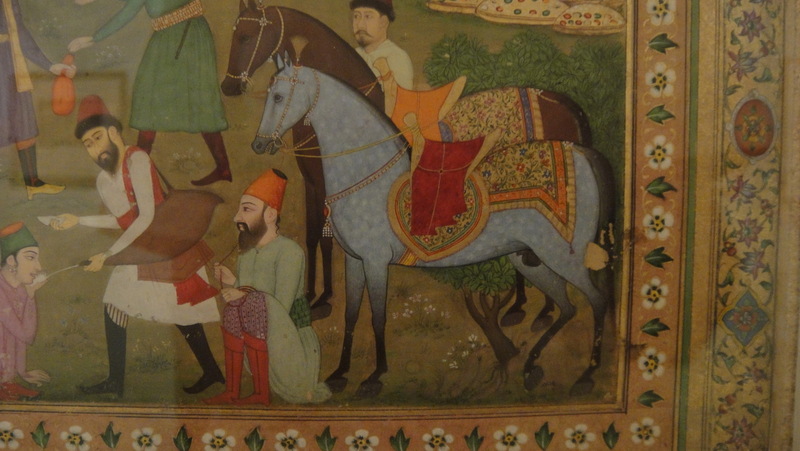 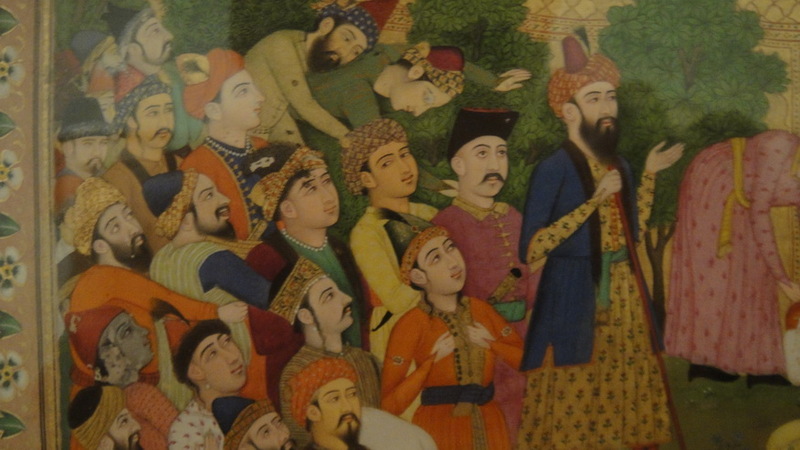 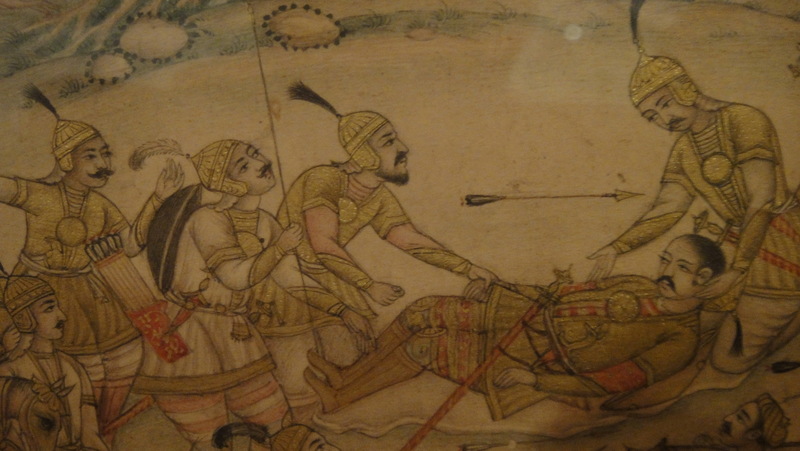 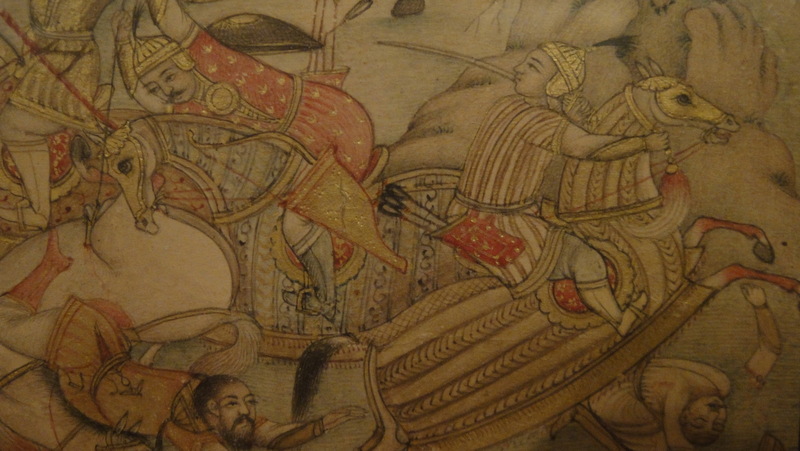 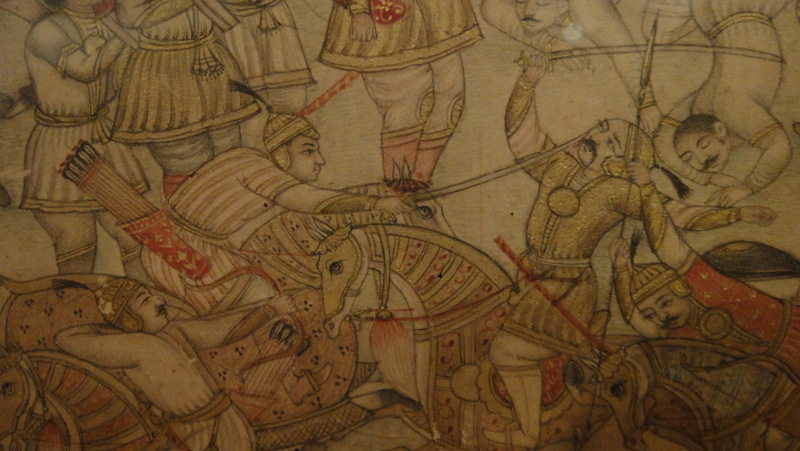 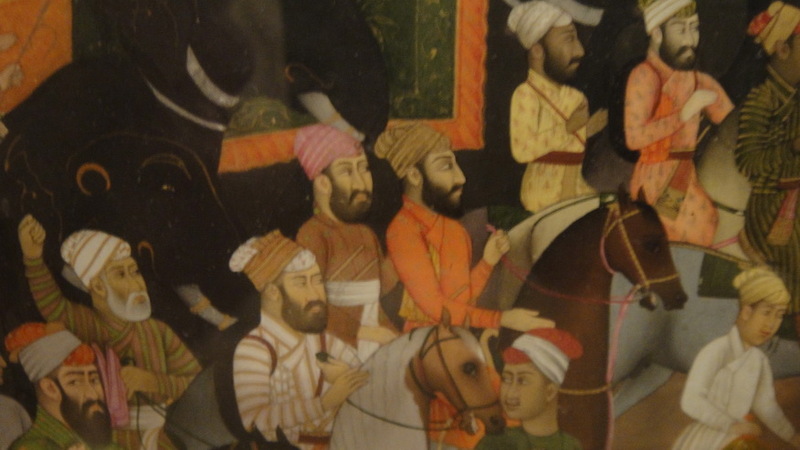 Two miniatures from the Shah Jahan studio: Wedding of the Prince Imperial (“M1”, with Shah Jahan on the parti-colored destrier); and Rich Widow Buys Yusuf (“M2”), from the Biblical story of Joseph. 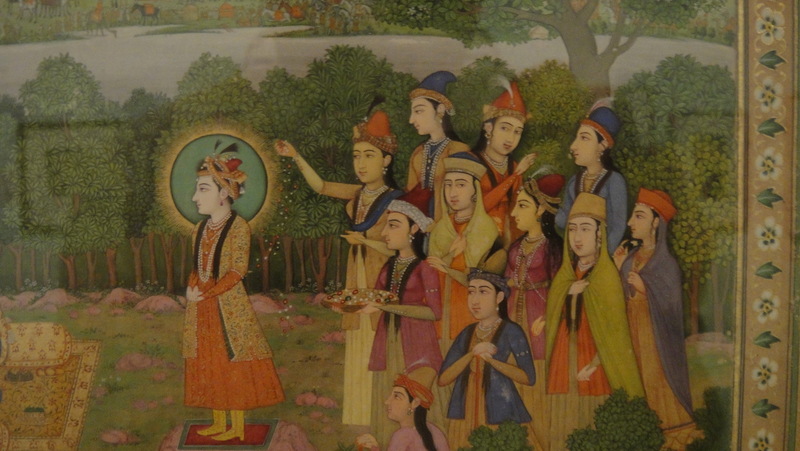 Shah Jahan was the Mughal Qianlong: a mighty prince with a country at peace, a strong interest in art, and an impeccable taste.